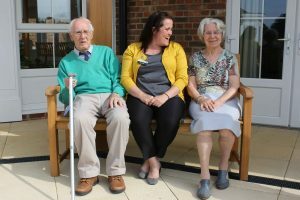 Middleton Oaks is an innovative facility, developed for people who wish to lead as independent a life as possible but who need a high level of practical, nurturing support. Often those who enjoy this kind of lifestyle live with the onset of dementia. 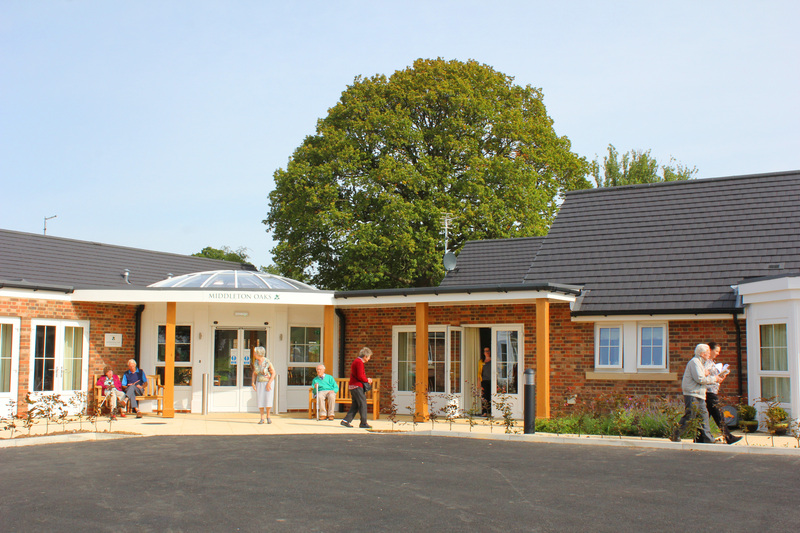 The two ‘households’ within Middleton Oaks – Acorn House and Catkin House, are purpose-built and of an extremely high design standard. Each is perfectly suited to provide a home for eight people. The households are linked by the beautiful indoor Winter Garden, a communal space to be enjoyed by residents, families and staff members. 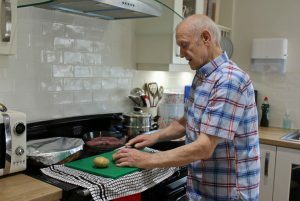 Each resident has their own comfortable and spacious en-suite room and they share a kitchen, dining room and lounge. A homely, familiar environment where they can participate is conducive to a feeling of well-being. Our experience of this kind of ‘small group living’ mirrors research that clearly shows that many people thrive when they are given the right support. 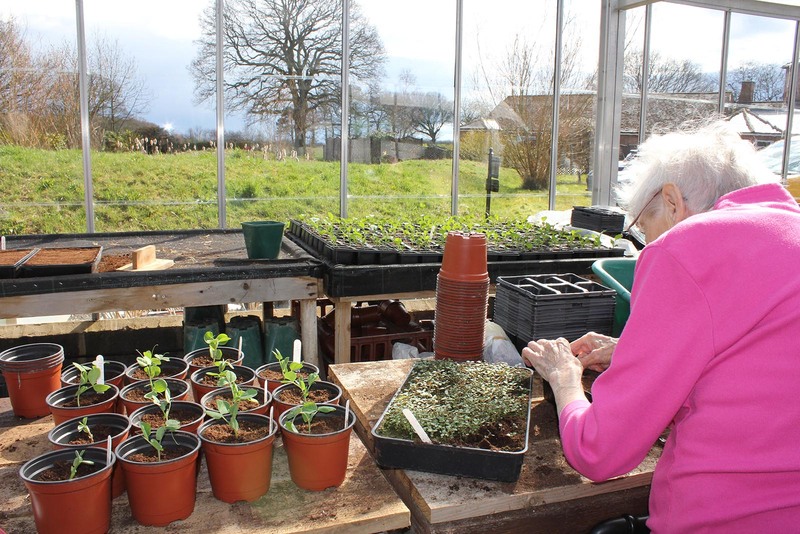 They can continue to enjoy carrying out everyday tasks such as meal preparation, washing up, housework and gardening. 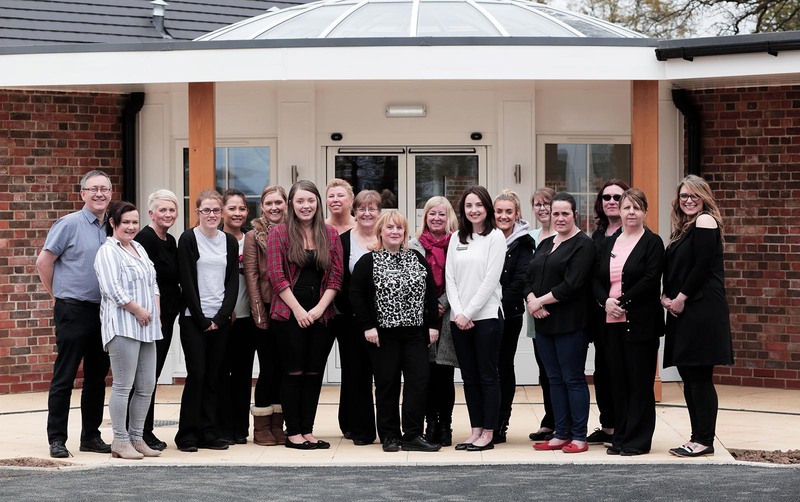 Staff in Middleton Oaks are highly trained and experienced in focusing on what people can still do rather than what they can no longer do. To view the terms of a stay at Middleton Hall please see a copy of our contract. What are the main benefits of living in a room at Middleton Oaks? To keep up to date or for further information on Middleton Oaks or to make an appointment to view please contact us or call Caroline Soullier on 01325 332 207. ”My mother has been a resident of the small (8 people) family unit for the past 4 years. 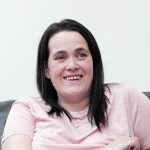 In that time, the dedicated team of carers has patiently dealt with all the changes, never has she been distressed, she is content and they understand her moods and needs probably better than we do now.